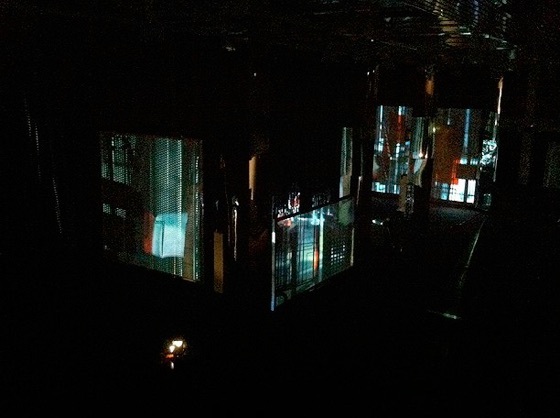 Collaborative work led by Sophie Clemens and Nell Catchpole and with Dan Brown as Artistic Advisor involving Musicians and Visual Artists. 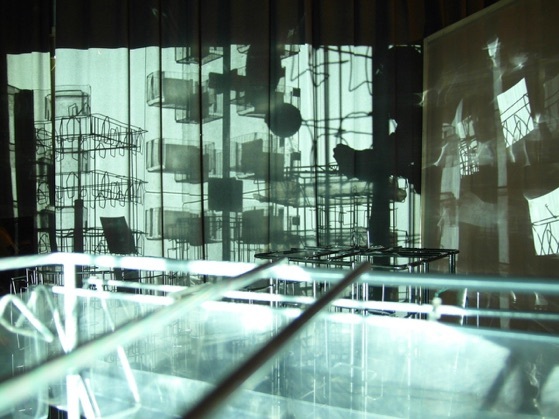 Project resulted in a site specific Installation/Performance at the Barbican Ex Exhibition halls. 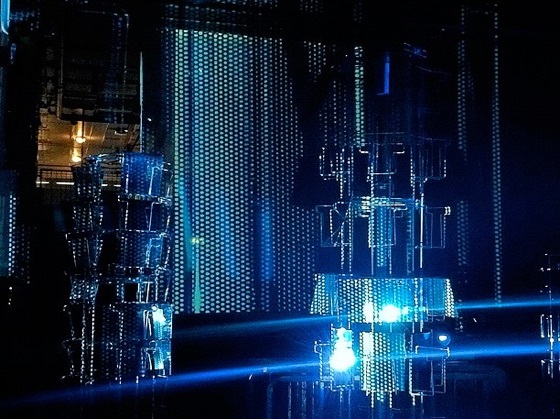 Kinetic light sculptures were constructed out of discarded postcard racks and other trade-fair debris like mirror-board, and pieces of card, in the soon to be dismantled Barbican Exhibition Halls. 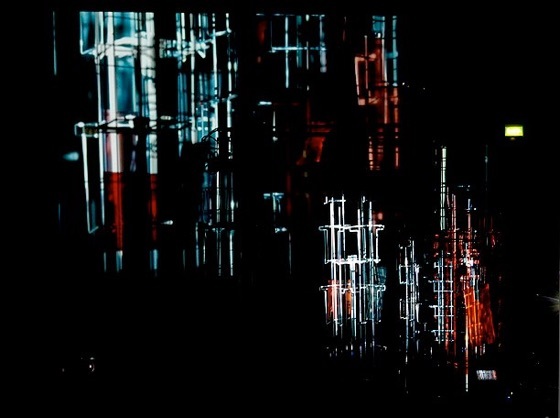 These structures, which resemble the concrete brutalist towers of the Barbican itself, were set in motion, and illuminated through several video projectors and cameras feeding back onto themselves, producing a complex interplay of light, shadows, reflections and video images on screens and the surrounding space.